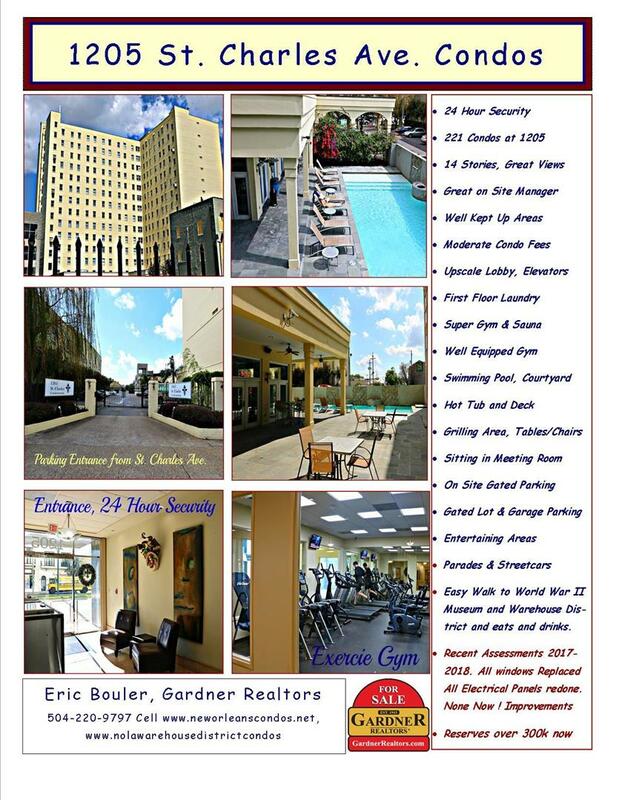 This unit has been leased through July of 2019 but will be back on the market in middle of June, 2019. This would be a great place for medical students and students. Also a great second home with an office or guest bedroom. All assessments were in 2017 and 2018. All windows and electrical panels have been replaced. The left over money went into reserves that was less than 10% last year but is now close to $400,000. 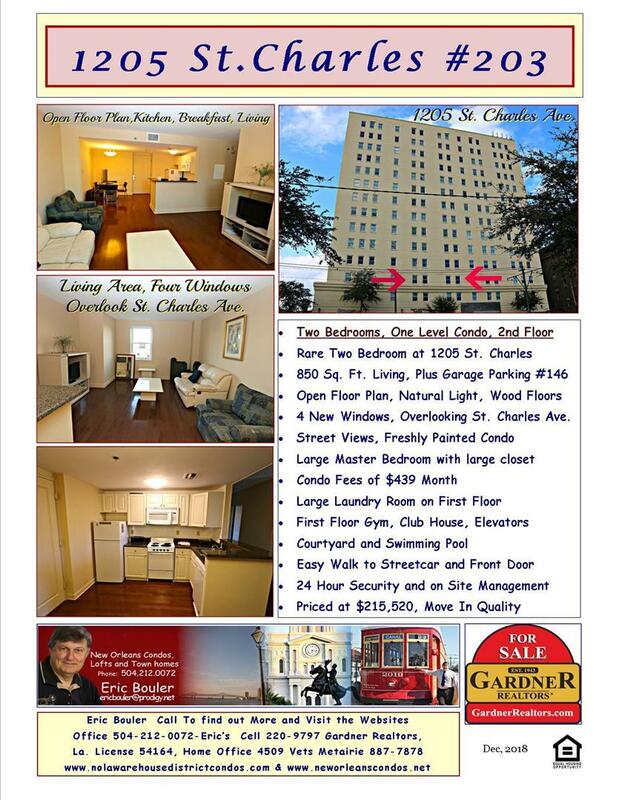 This is a two bedroom condo overlooking St. Charles Avenue on the second floor with garage parking. The condo complex has 24 hour security with lots of great amenties. Great first floor with super gym, swimming pool, courtyard, managers office, laundry rooms, meeting room and sitting areas. The #203 has wood floors, nice streetviews, open kitchen and easy walk or ride the close elevator to the first floor. The master bedroom is larger and the second bedroom could be an office or guest bedroom. Four windows overlook the St. Charles Avenue. Condo fees are $439 per month and is moderate with all the security and upkeep of the complex. The managers office is on first floor. There were recent assessments in 2017 and 2018. All have been paid. All new insulated windows in every unit. All new electrical panels have been installed in all unit. The reserves are now up to about 300K which is about 30% of the annual budget. This is a great new thing for financing.